Climate Wars, by Gwynne Dyer. Oneworld Publications, 2010. Reviewed August 2010. Gwynne Dyer was not like other war correspondents, back in the day: with other reporters, if there was shooting in the provinces, coverage would most likely come from the capital. With Dyer, you’d most likely be hearing small arms fire in the background of his report. And if he was doing a TV spot, you could see that he didn’t flinch. 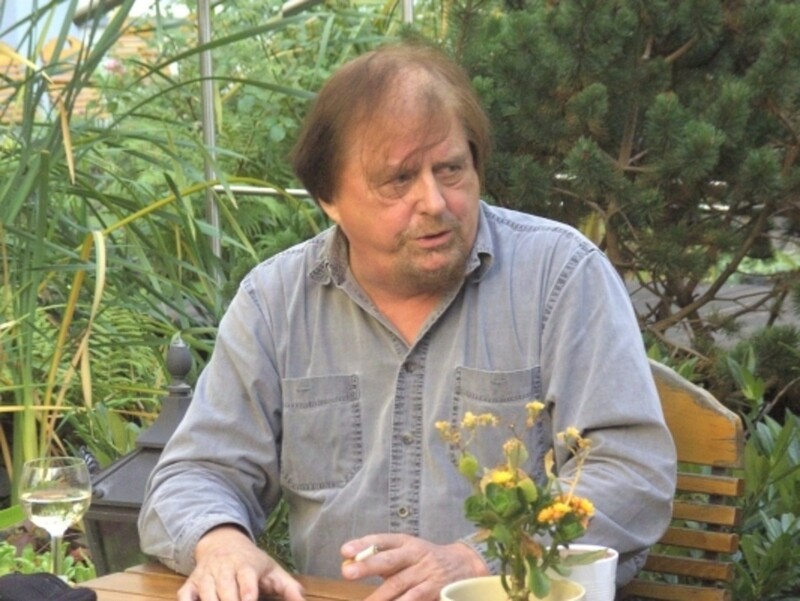 Gwynne Dyer. 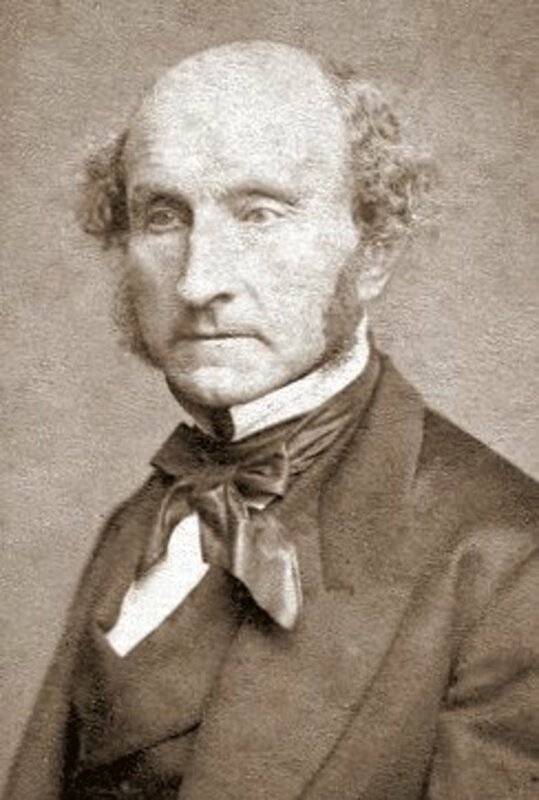 Image courtesy DerRabeRalf & Wikipedia. So it makes sense that the viewpoint of his 2008 book on the security implications of climate change, Climate Wars, is just as steady-eyed. Perhaps it’s his military background—Dyer has served in the Naval reserve, not only of his native Canada, but also of the U.S. and the U.K.—or perhaps it’s his academic training—he holds a PhD in Military and Middle Eastern History from King’s College, London—but he is not averse to speaking unpalatable truths. And the truth of where we are today with respect to global warming is nothing if not unpalatable. --Nuclear exchange between Israel and Iran. 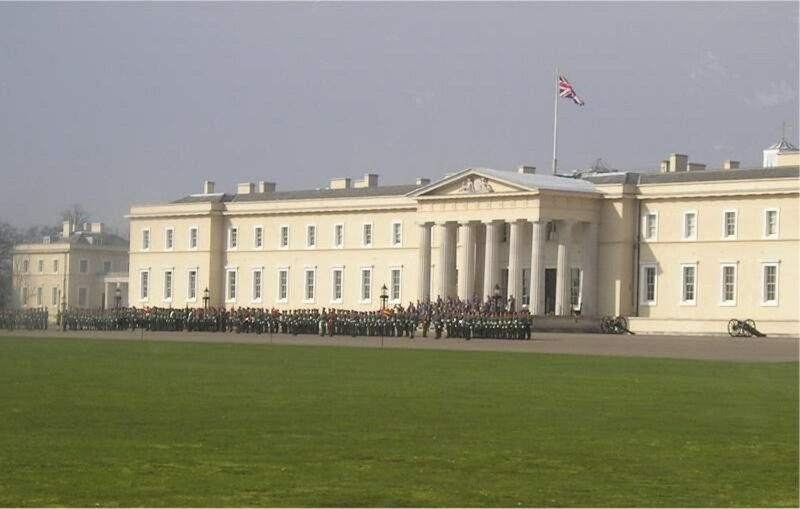 Sandhurst, the famous English military college, where Dyer taught prior to his journalistic career. 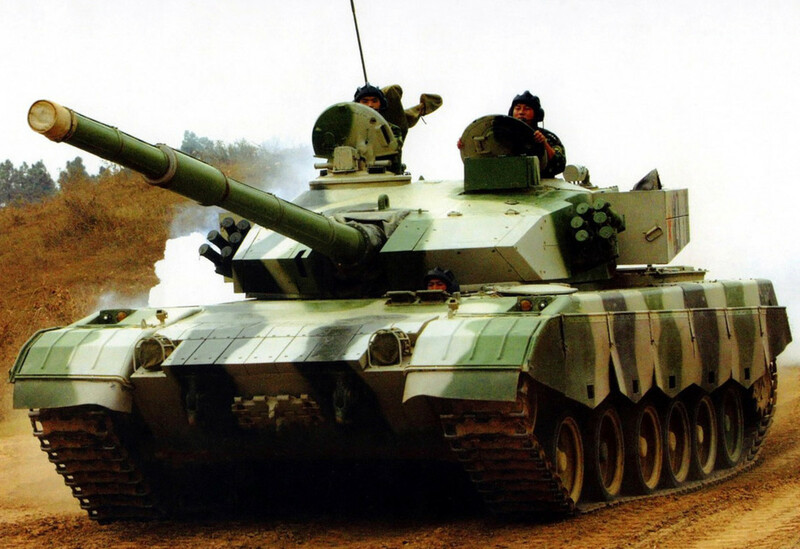 Chinese ZTZ96G tank on the road. Dyer is clear that his scenarios are not meant as prophecy—in fact, he notes that they are not even always mutually compatible. They are meant rather to explore and illuminate aspects of the problem facing us—to give, in short, a good sense of what could happen. There’s even a scenario illustrating an effective international response to the climate crisis. The scenarios are based upon solid research: largely the 2007 IPCC Fourth Assessment Report and the 2006 Stern Report. These are logical sources, albeit ones much attacked by climate change denialists: AR4 synthesizes literally thousands of peer-reviewed research papers, and the Stern report, commissioned by the British government, remains an influential examination of the economics of action—and inaction!—on climate change. 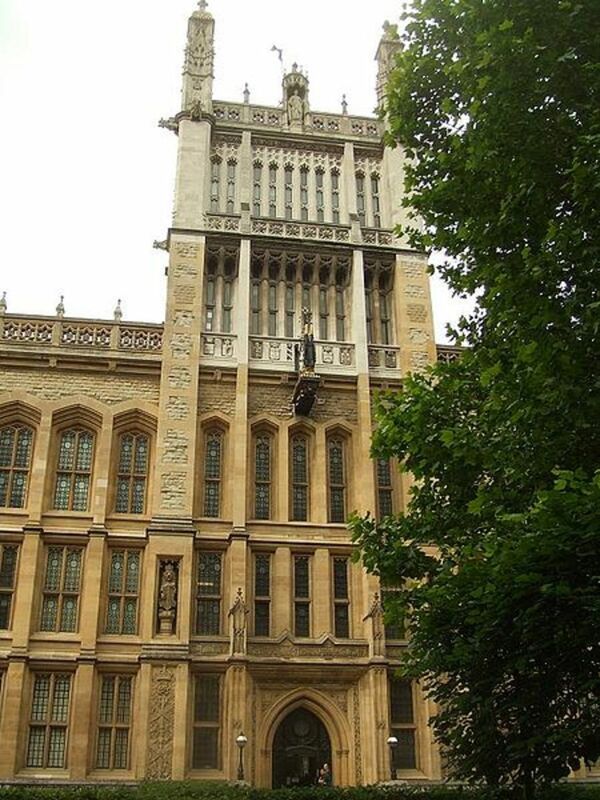 King's College London Library. Dyer received the PhD in Military and Middle Eastern History from King's in 1973. So what are the broad conclusions of AR4, which Dyer takes as his departure point? Well, the Summary for Policymaker gives a range of warming by 2100 of about 1.8 to 4 degrees Celsius, and from 18 to 59 centimeters. These numbers depend mostly on what happens to emissions of GHGs, though there is additional statistical uncertainty from other sources. (Factoring this uncertainty in, the warming could be a little as 1.1 C, or as much as 6.4 C.) Precipitation trends are harder to characterize, but in the A1B scenario—the most middle-of-the-road “high-growth” scenario—Mexico and the Caribbean basin, the Mediterranean basin, the Middle East, South Africa and Western Australia all suffer significant reductions—up to 20%--in rainfall for at least three months of the year. 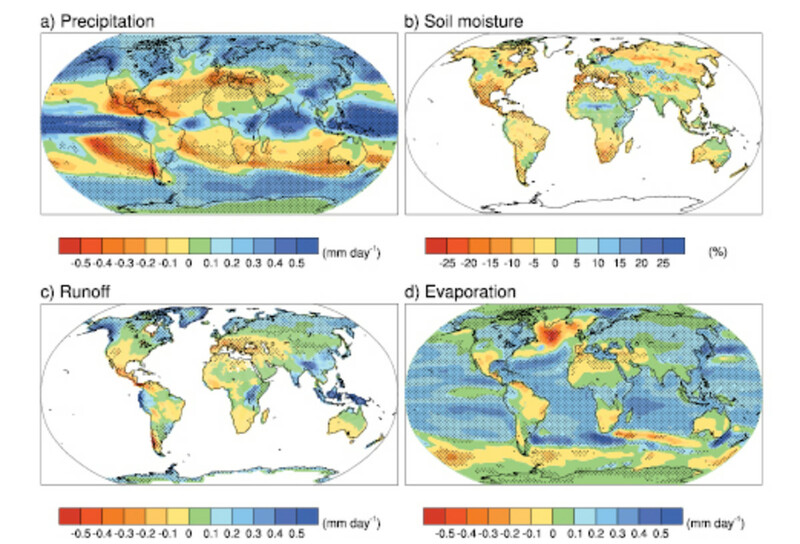 Precipitation and Drying, from the IPCC Fourth Assessment Report. Note the drying in Mexico, the Mediterranean basin, and coastal Chile in the upper left panel. 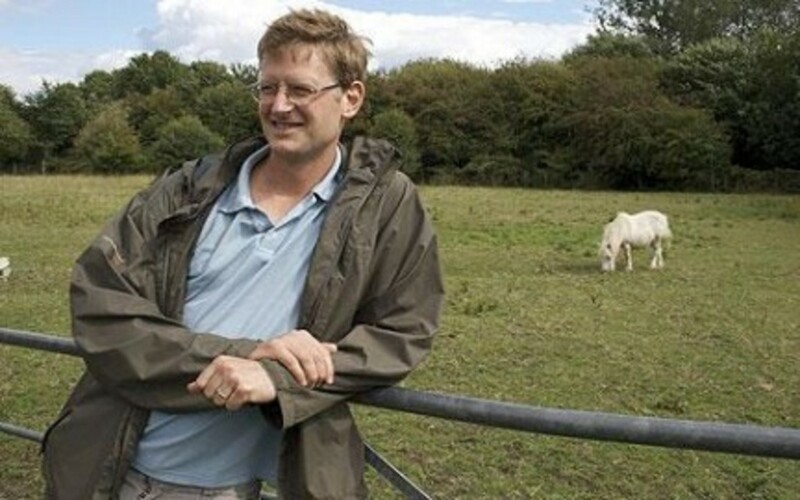 Supplementing the published research is original reporting by Dyer: he is known for his connections with military and government officials all around the world, and he uses these connections to great effect in Climate Wars. He was able to interview high-ranking military, political and scientific officials around the world, and excerpts from these interviews pepper the text, providing both authority and perspective. 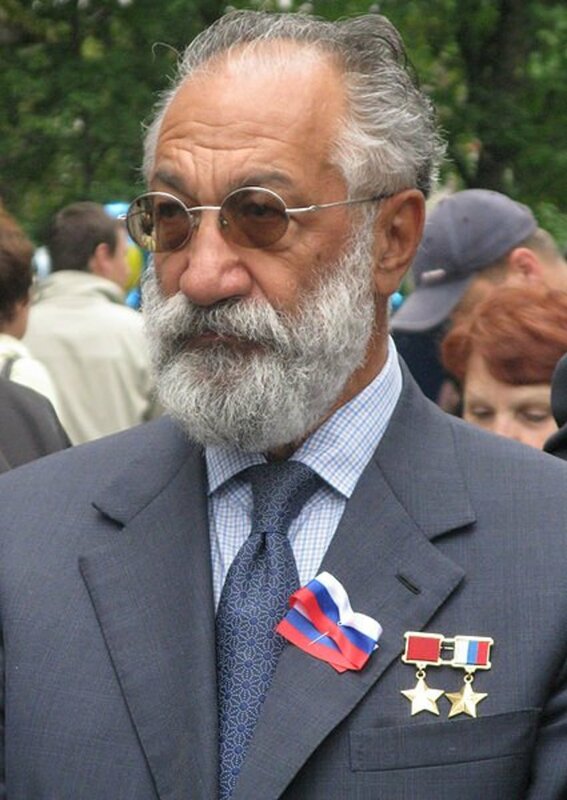 For example, Dyer interviewed among others Artur Chilingarov, the deputy speaker of the Russian Duma, who in 2007 planted the flag of the Russian federation on the seabed at the North Pole. Artur Chilingarov, who planted the Russian flag on the North Pole seabed via submersible. Image courtesy Wikipedia. But however good the interviews, Dyer’s book is structured around the seven illustrative scenarios, taking place at various times between 2019 and sometime in the late 22nd century. The structure is clever, from a story-telling point of view: the most alarming scenarios frame the book, while the others follow a pattern coherent both thematically and chronologically. Each scenario gets a chapter of its own, followed by a chapter discussing the issues explored, explaining the scientific basis, and commenting upon political or social issues that may be involved. A "drunken forest." The chaotically leaning trees result from the melting of the permafrost, which formerly stabilized the root systems. Image courtesy John Ranson, NASA, and Wikipedia. This world, like those of many of the other scenarios, is stalked by hunger—the global population has dipped below current levels due to widespread famine. Nuclear weapons are much more common, as the most fortunate nations do all they can to secure their borders from masses of climate refugees. And the temperature is expected to reach 8-9 C above 1990 by the end of the century. The Sonoran desert, straddling part of the US-Mexican border. 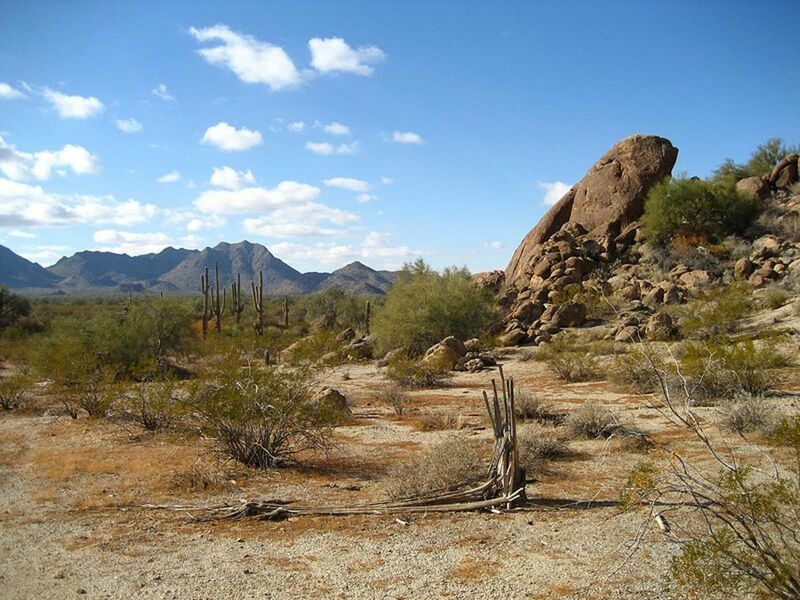 The desert may be expected to expand in a warming world. Image courtesy Highqeue & Wikimedia Commons. Scenario Two illustrates how international conflict can be prompted by climate change—and equally, how the conflict can then further exacerbate climate change. In 2019, as the Arctic sea ice melts, the Arctic nations—polarized between Russia and NATO in a “Colder War”--squabble over fossil fuel resources, as a militarily powerful China struggles to deal with the internal chaos of massive agricultural failures due to persistent drought. All this renders international cooperation to fight climate change essentially impossible for twenty vital years. Realization of this scenario is not hard to envisage in 2010; the Canadian government has redoubled emphasis on its Arctic sovereignty and research vessels from the US, Canada, Russia, Germany and China are all operating in the Arctic Ocean as of this writing. It is known that several of them are engaged in mapping seafloor features that will (it is hoped) support various territorial claims. 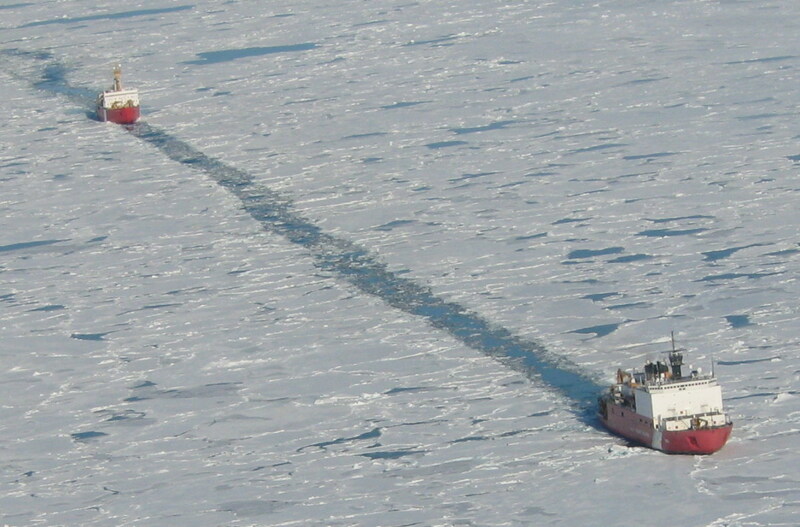 USCGS Healy and CCGS St. Laurent cooperate in a sonar survey of the Arctic Ocean seafloor, despite the clashing territorial claims the two nations stake in the High Arctic. Image courtesy NRC. 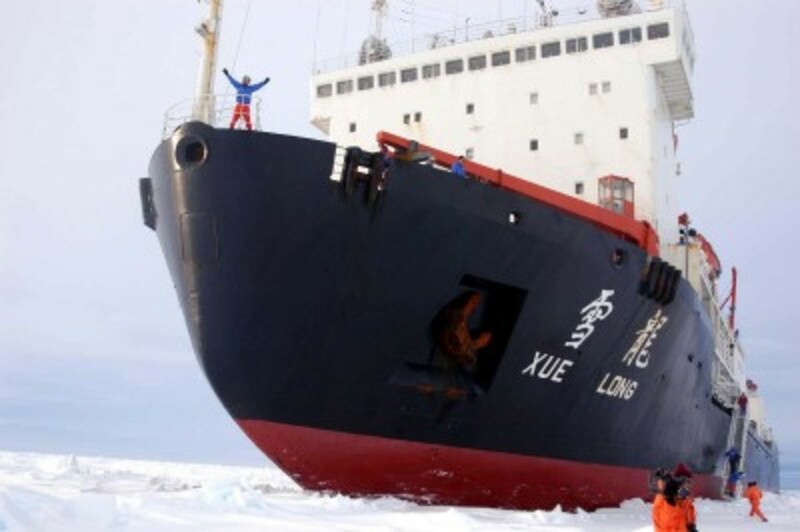 The Chinese icebreaker and research vessel Snow Dragon in the Antarctic. She is spending the summer of 2010 in the Arctic. 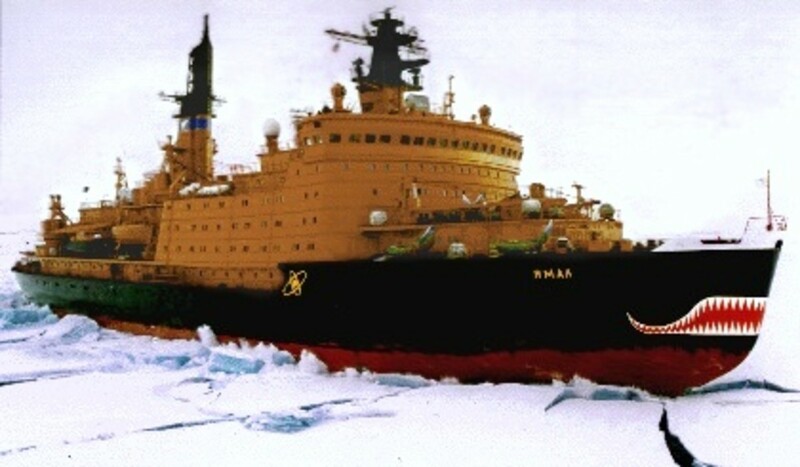 Russian nuclear icebreaker Yamal. Image courtesy NSF. Scenario Three focuses on the political and social effects of a robust climate modeling prediction for serious drying of the Mexican and Central American climate. Those consequences begin with severe impairment of agriculture, leading in turn to failure of the Mexican government and massive increases in attempts to emigrate to the U.S. From that flows the closing of the border with “Iron Curtain”-style fortifications, including automated machine gun posts and anti-personnel mines. Civil disturbance in the U.S. itself ensues, as 60 million Hispanic Americans react with shock, horror and anger at the deaths of would-be border crossers. The outcome is a large, permanently alienated minority within American society. 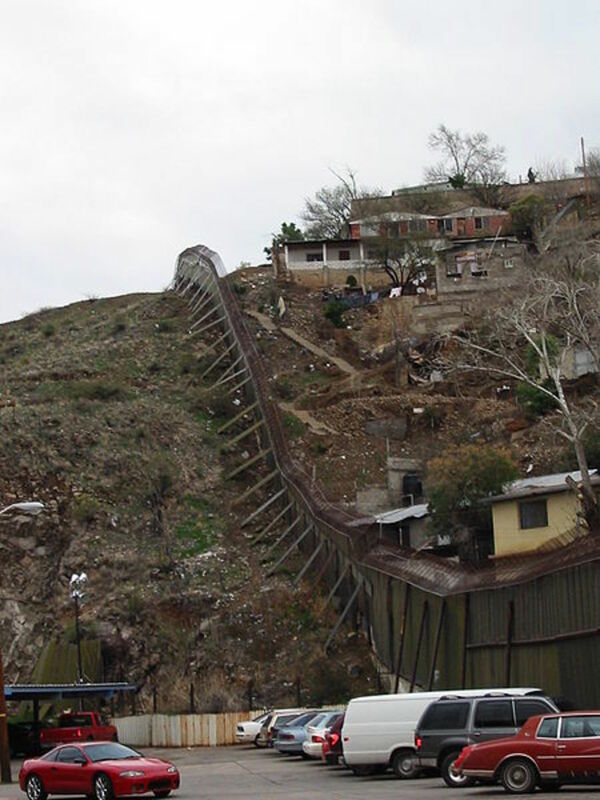 US-Mexican border, Nogales, Arizona. Mexico is to the right. Image courtesy Wikimedia Commons. US-Mexican border, Tijuana, Mexico. 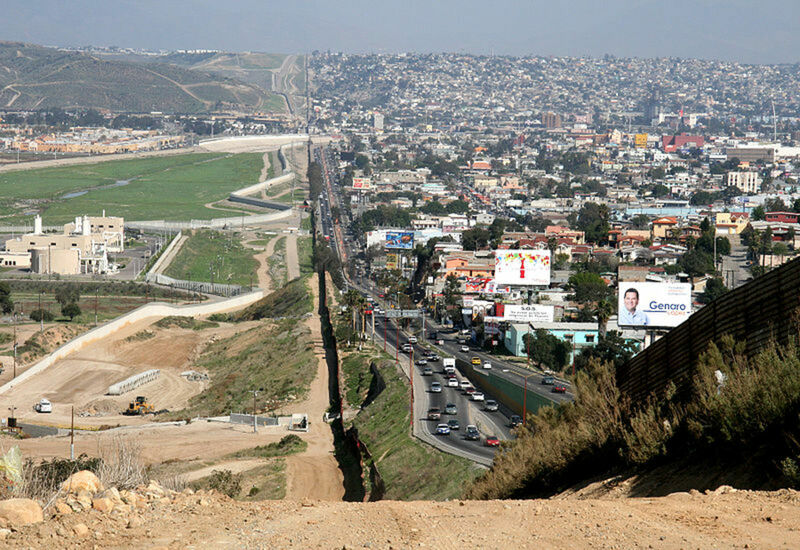 Tijuana is to the right. Image by Sgt. 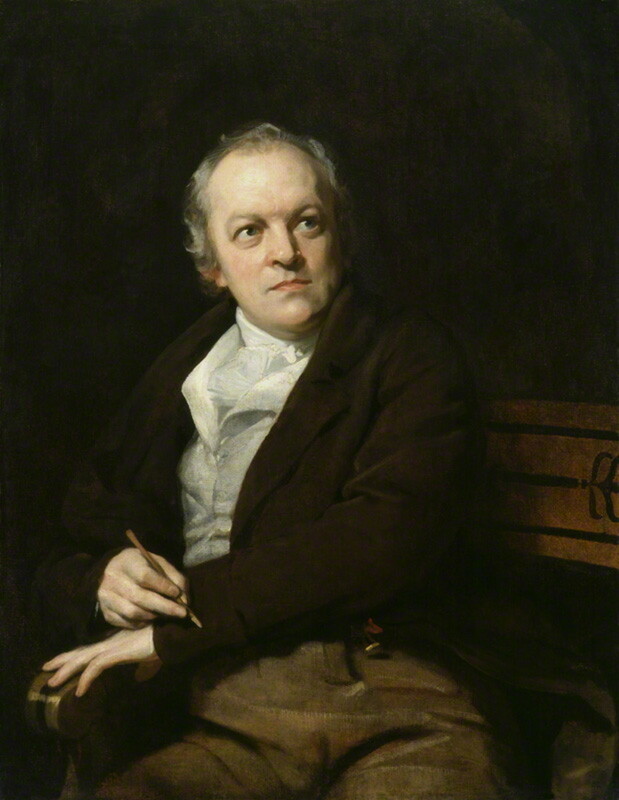 Hyde, courtesy Wikimedia Commons. 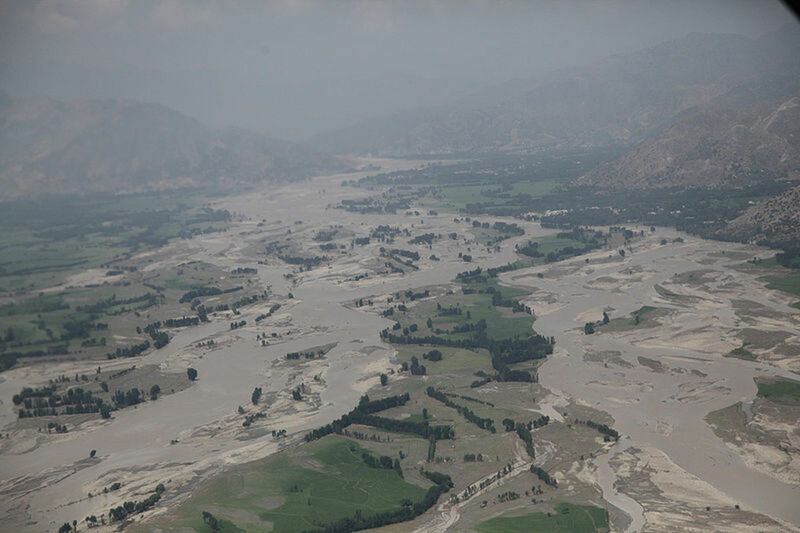 Dyer has Pakistan and India, increasingly under the pressure of food insecurity--due to more frequent failures of the monsoon combined with still-growing populations--confronted in the mid-2030s by drastically reduced summer stream flows in the Indus river system. (That system, governed since 1960 by treaty, supplies the irrigation water that produces “at least three-quarters of Pakistan’s food.”) A 2035 “colonel’s coup” brings a desperately hard-line nationalist military government to power in Pakistan. Increasing hostility and suspicion lead to a nuclear ultimatum by Pakistan, an Indian pre-emptive nuclear strike, and a six-day spasm of nuclear strikes which kills 400-500 million. The major cities of Pakistan and Northern India are obliterated. Further millions die in Bangladesh, Burma and northern Thailand from radiation poisoning. Ironically, the dust propelled into the atmosphere is sufficient to temporarily cool the Northern Hemisphere about 1 degree Celsius. 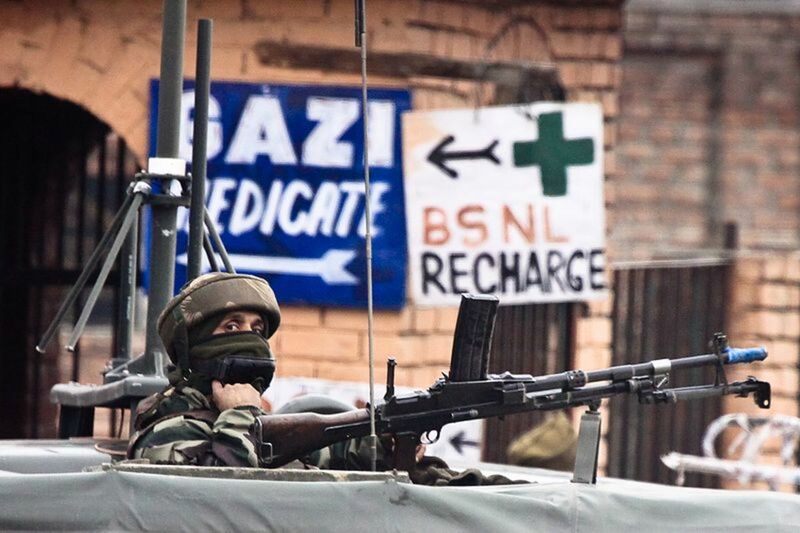 Indian soldier keeping watch near the Srinagar airport. Jammu and Kashmir have been the site of armed clashes between India and Pakistan several times. Image courtesy Jrapczak & Wikimedia Commons. How realistic is this nightmarish scenario in light of today’s knowledge? We know now that the Himalayan glaciers will still exist in 2035. But a new discussion paper, “The role of glaciers in stream flow from the Nepal Himalaya,” (Alford and Armstrong, The Cryosphere Discuss., 4, 469-494, 2010) concludes that glacial runoff contributes only about 4% to the total annual stream flow of the Ganges system; the great majority is contributed by monsoon rains. If similar numbers hold for the Indus system—and how likely that is, this writer does not know—then we are back once again to the uncertain effects of global warming upon the monsoons. Studies have come to differing conclusions--including the conclusion that warming makes monsoon activity more difficult to predict. MODIS satellite image of the flooding in Pakistan's Indus valley. The Indus system is the backbone of Pakistan. 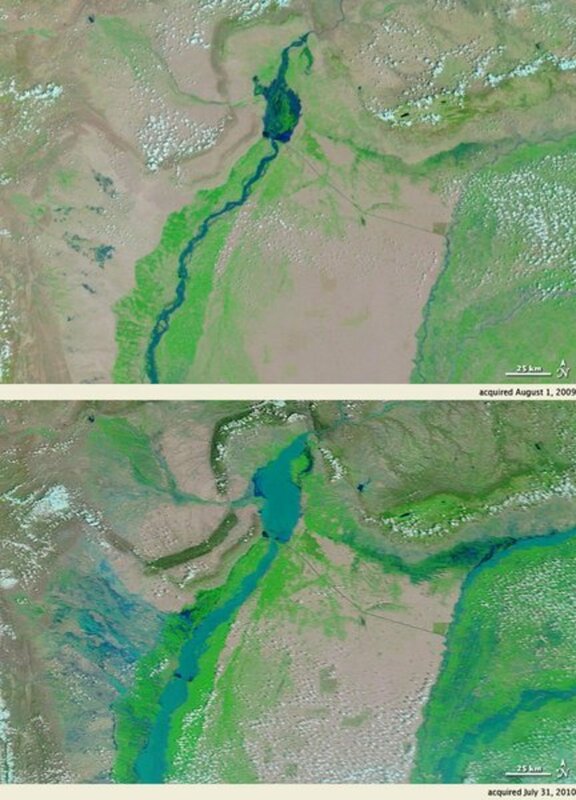 Upper panel shows the Indus in 2009; below is the flooding of 2010. Image courtesy NASA. As I write, Pakistan is suffering, not from a weakened monsoon, but one supercharged by a stationary blocking high pressure system that created the conditions for devastating floods. This unusual atmospheric pattern may be related to warming, too—and increased frequency of “extreme precipitation events” is expected in a warming world—but no-one can yet be certain. 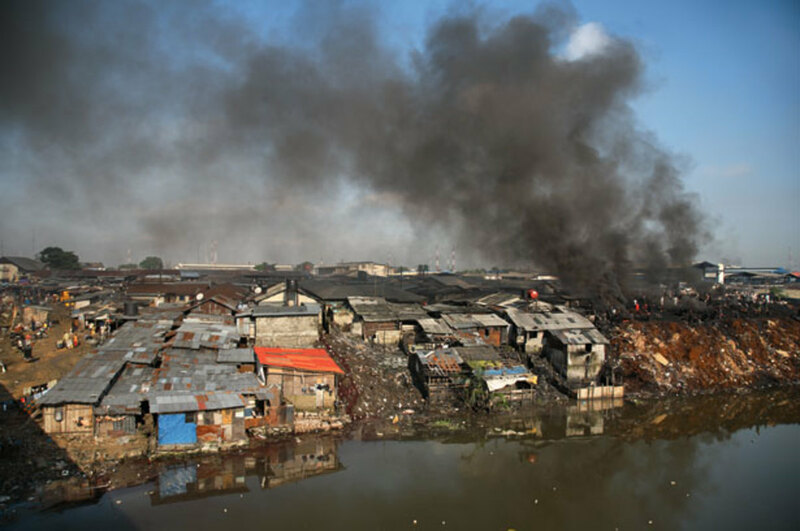 At any rate, so far 1600 have been reported killed, 2 million are estimated to be homeless, 14 million have been affected in various ways, and new flood warnings have resulted in the evacuation of 400,000 people. The political consequences remain to be seen. One may suppose that uncertainty is better than certain disaster, so perhaps the “unsettled science” around future water supplies may be seen as good news. But it certainly doesn’t provide any reason for complacency about the “harmlessness” of climate change. 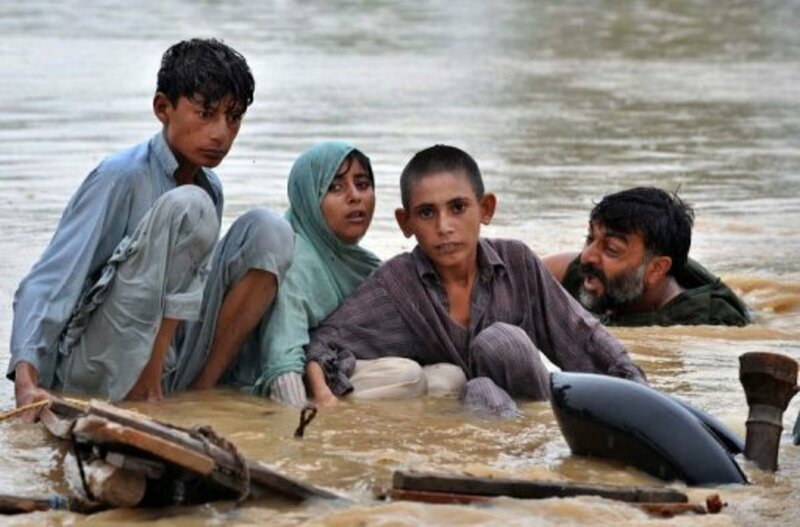 An anonymous picture of Pakistani flood survivors. Dyer entitles his fifth scenario “A Happy Tale.” It, too, is now somewhat dated, since the text predates the economic meltdown which has kept the price of oil down—currently it is in the mid-to-upper $70s per barrel. By contrast, the “happy tale” envisions oil reaching $250 a barrel by August of 2011. A shift to “third-generation” biofuels—mainly algae and salt-tolerant “halophytes” irrigated with sea water—leads to 15% biofuel penetration of the US fuel mix in 2014, with a growth trend of 4%. China and India follow suit rapidly. The Europeans go ahead with their massive Sahara solar-farming project, partly to create hydrogen to be used to create synfuels using captured CO2. 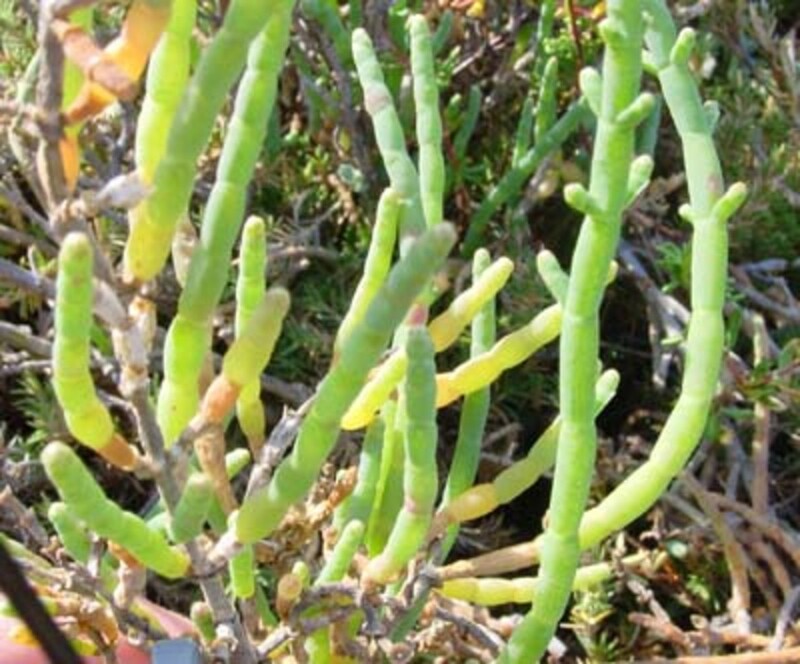 Salicornia, a "halophyte"--a salt-loving plant whose conversion to biofuel is being currently developed. Image courtesy Sci.SDSU.edu. A number of climate-related disasters serve to mobilize an international consensus to achieve “Zero-2030”—zero emissions worldwide by 2030. By 2017, demand for oil has fallen so much faster than supply that the price of oil has dropped to $30 a barrel. Of course, this beggars the oil states, and revolution follows—Nigeria in 2017, Iran in 2019. But though CO2 emissions begin to fall, the “Zero-30” target cannot be met—indeed, even a “Zero-50” target seems out of reach. And climate disasters keep coming—storms and floods kill millions; and the Arctic becomes seasonally ice-free. Resultant warming brings permafrost melting, which in turn begins to release really serious amounts of methane and CO2. International cooperation begins to crumble under the sense of despair. At last, Bangladesh—which has suffered more than its share of climate fatalities—takes drastic action by threatening to inject a “million tonnes of powdered sulphates into the stratosphere” in order to “geo-engineer” global cooling. A treaty brings more sophisticated geo-engineering projects into play, and despite further disasters, CO2 concentrations are brought down to 387 ppm—the 2008 level—by 2075. OPTEX High Altitude Platform is launched, August 2005. 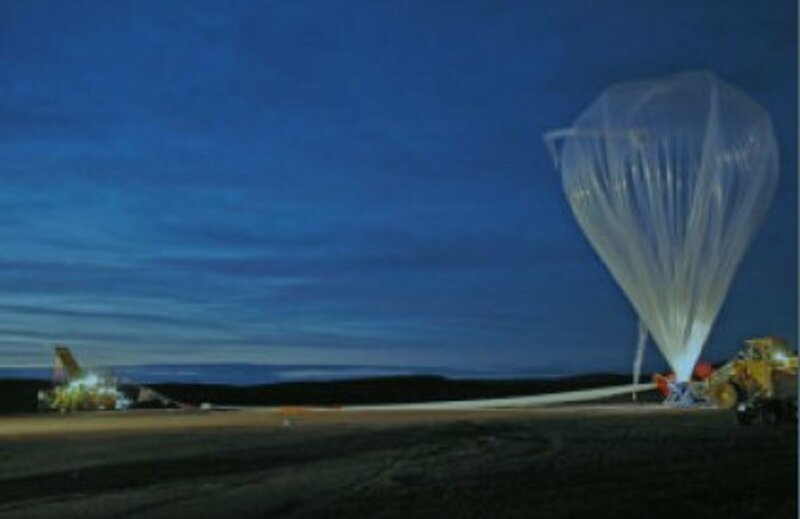 High-altitude balloon technology might be used to inject sulphates into the stratosphere to "geoengineer" global cooling. Scenario Six examines possible political and ideological conflicts in the 2030s and 40s. As the climate problem comes to the forefront of international politics, responses to it engender new conflicts. The heirs of the early-21st-century “Right” are focused on the expansion of nuclear power and on the deployment of geo-engineering schemes intended to buy time to bring down CO2 levels. 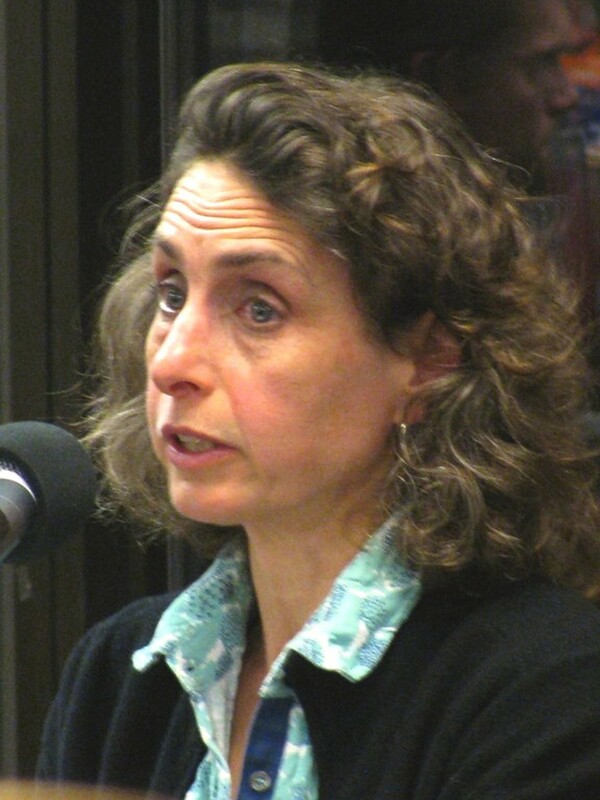 The “Left” remains bitter that the solutions they had long proposed had been postponed until too late, unhappy about the reliance on nuclear power, and deeply suspicious of geo-engineering. Sporadic eco-terrorist actions by small numbers of extremists help to paralyze the West; the “Majority World” takes unilateral action, rather as in Scenario Five. By 2040, a cooling of about 1 degree Celsius is noticed. Then random disaster strikes, in the form of an eruption of the Indonesian Lake Toba supervolcano. (Curiously, Dyer refers to it as “Mount Toba”—perhaps he means to imply that a volcanic cone is thrown up by the eruption envisioned in his scenario.) About three times the amount of ash is released that Mount Tambora spewed in 1815, lowering the global temperature a further 3 degrees in a new “Year without Summer.” Crops fail everywhere in an already food-insecure world, and 300-400 million die of starvation; many states fall into anarchy, and “civil war, mass migration and genocide” claim as many lives again within five years. The temperature returns to the very warm “new normal,” various climate tipping points approach, and further geo-engineering is profoundly discredited. Humanity has no way out of the crisis it has created. 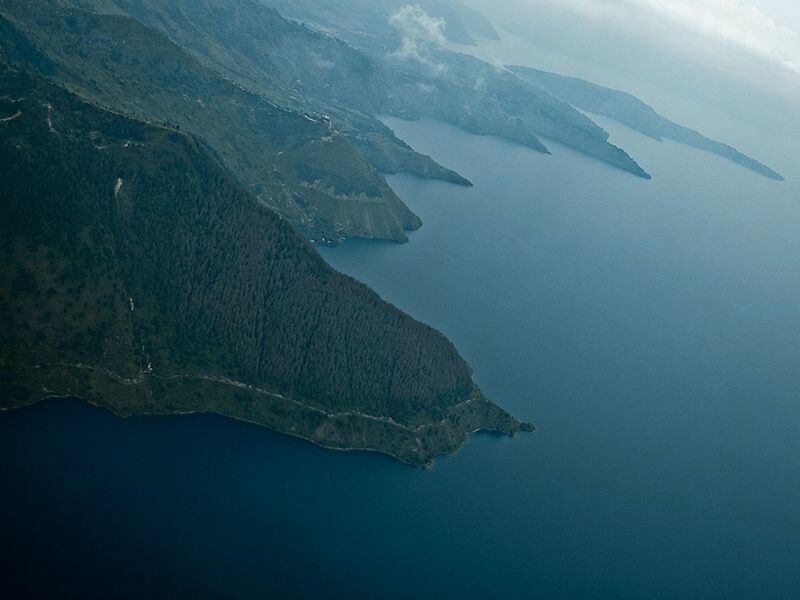 The southeast shore of Lake Toba, Indonesia; it is the remnant of a vast caldera blasted out of the surface about 73,000 years ago. The debris may have caused years of volcanic "winter," killing many creatures, including most early humans. As bad as Scenario Six is, it does not envision the ultimate human disaster—complete extinction. Dyer considers this possibility Scenario Seven—though he does not quite write an actual scenario; he writes that it would be “too melodramatic, too apocalyptic.” Rather, he describes more generally how such an extinction could potentially occur given current scientific knowledge. Certainly this more distanced approach makes for much more comfortable reading. 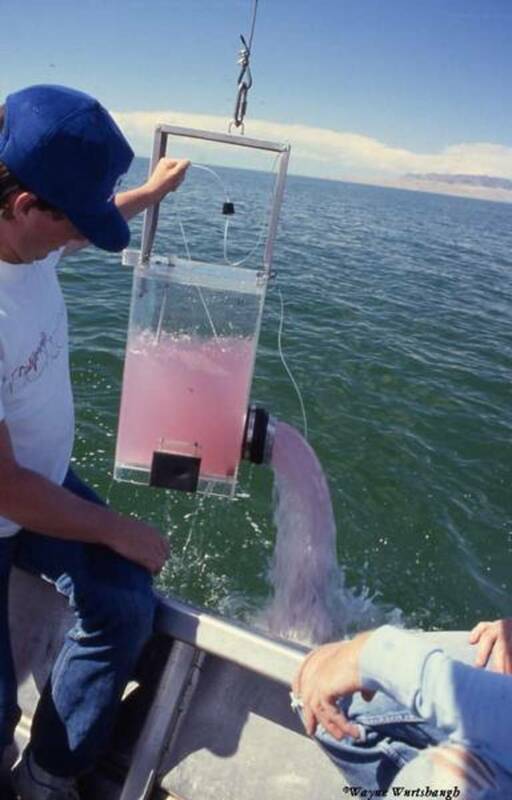 Purple sulfur-producing bacteria from Utah's Great Salt Lake. Similar marine species could create sufficient hydrogen sulfide gas to cause massive extinctions--and may have done so in the distant past. Image courtesy Wayne Wurtsbaugh and ASLO. Associated with these events are high global temperatures and high concentrations of CO2. Especially noteworthy is the last, relatively more recent anoxic extinction, which occurred about 55 million years ago and killing mostly marine species: it is associated with CO2 levels of about 800 ppm. We could potentially reach such levels by the end of the 21st century. The evidence is still unclear on whether we run a substantial chance of triggering a Canfield ocean and a greenhouse extinction if we let global warming get out of hand. As with many aspects of this issue, we would only find out for sure when it was too late to do anything about it. But it’s the only outcome of the current climate crisis that might convert a massive dieback of the human population into an actual extinction. Opinions will differ on how reassuring this statement is. 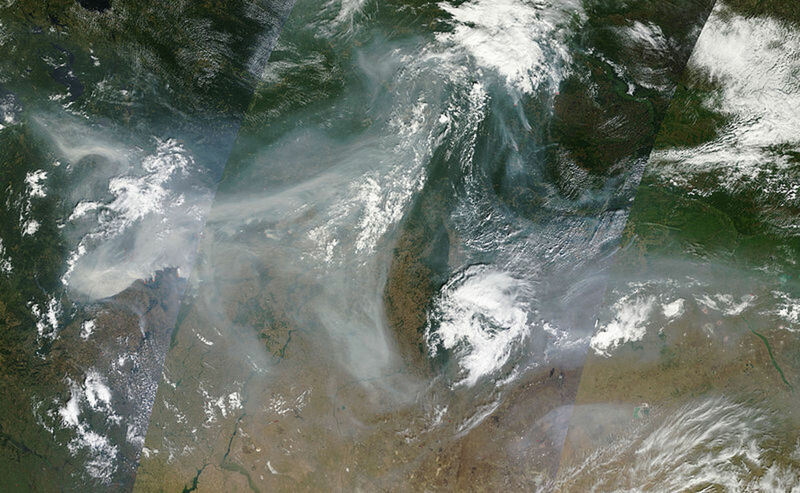 MODIS satellite image of smoke plume from the 2010 Russian wildfires. The plume trails about 3,000 kilometers. Image courtesy NASA. Climate Wars is a valuable addition to the available literature on global warming. It is not hard to find books containing good information on why warming is expected to continue over the coming decades, and what consequences may accrue if this is allowed. But those consequences tend to be presented in a subtly distanced way: somewhat abstract, somewhat isolated from one another, and occurring at not-very-specific times in not-very-specific places. Climate Wars is different. We get stories, and we get discussions of the stories and their scientific basis, political context and human significance. To be sure, the stories are like future news—“broad strokes” portraits--but the narratives provide coherence and context that conspicuously do not occur in other kinds of presentations. The consequence for the reader is a more visceral understanding of just what we and our heirs may be facing. No doubt some have, and will, view the book as “alarmist.” But though Dyer does attempt to base the book as firmly as he can in the mainstream science, he does not claim to be a psychic or prophet; the scenarios are both explicitly and implicitly illustrative, not predictive. They show us not what will happen, but what could happen. As we collectively face this critical issue called “climate change,” we can be grateful for any work that does that. 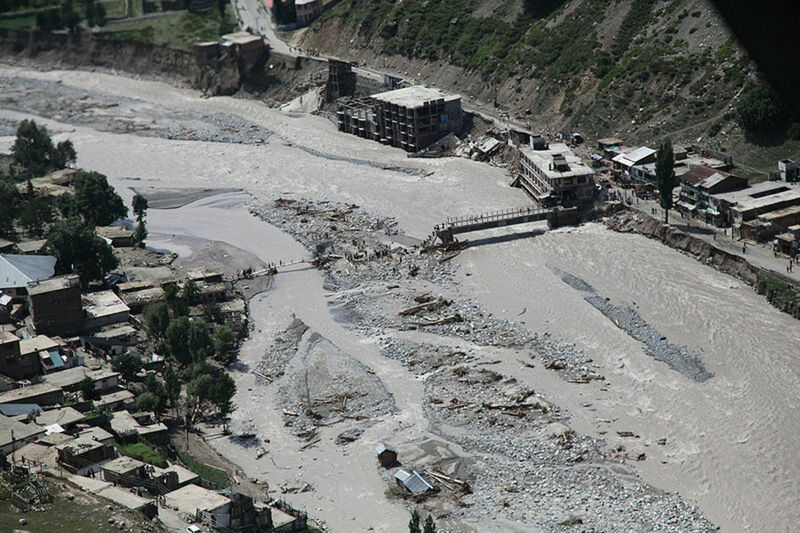 Flood-damaged bridge, Pakistan. Image courtesy US DOD & Wikimedia Commons. Flooding, Pakistan. Image courtesy US DOD & Wikimedia Commons. Retired astronaut Walter Cunningham ascribes concern about global warming to "a small group of scientists." But the real story is much longer--and much more interesting. 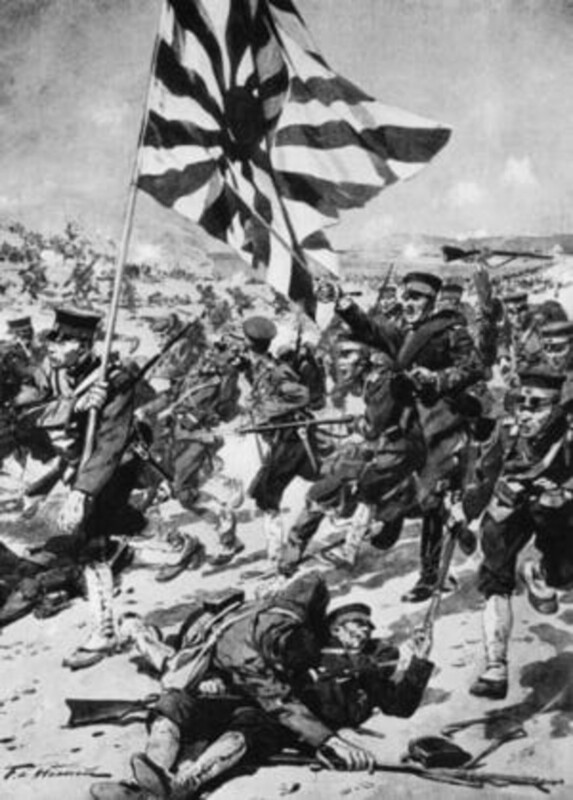 A thumbnail sketch, beginning in Napoleon's France. . . The story of Guy Callendar, the man who brought CO2 climate theory into the 20th century. 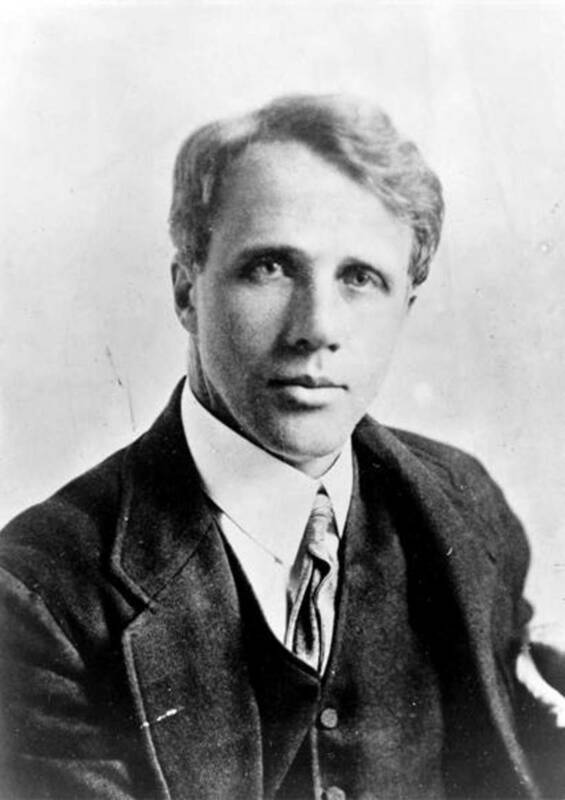 "Nearly everybody likes to be right, and scientists perhaps more so than the rest of us. Their professional lives, after all, are dedicated to the truth..."
Doc's latest how-(not)-to Hub: "It amazes me that people are willing to pay others $15 to string their guitars for them. If you play, why not do it yourself? It's mostly not that hard. But there are a couple of tricks of the trade that..."
Thoughts on the Gulf spill--and a great song! "I might not finish this piece tonight. Its hot, really hot, and the wind is rising outside with the rising storm. Theres a squall line of sorts on the way, and the TV weatherman was talking..."
Very detailed and realistic review of the book. I had read the book about a decade back. Today I was suggesting someone to read it and gave some insight to her. Later when I browsed google to findout where the book would be available to order for my friend and came across this link. Thabk you for posting it. Doc, just curious. It has been 7 years since this book was published. How many of his predictions have come true? Thanks very much. I dislike long columns of uninterrupted print onscreen, and so take some time trying to find attractive and appropriate images. Glad the time spent worked for you! Your valuable article is balanced well with great photographs. Not crazy about being spammed with unrelated links, ashley, but I'm a fan of MLK, and it is the MLK weekend, so I'll let it pass. I'm very glad it was helpful. Thanks for taking a moment to let me know! Thank you very much for your thoughtful comment. I am so glad that this review was useful for you! Good choice. Clearly, the author shows a severe problem and explain it with an insightful and unique mind. Besides, this review is comprehensible. 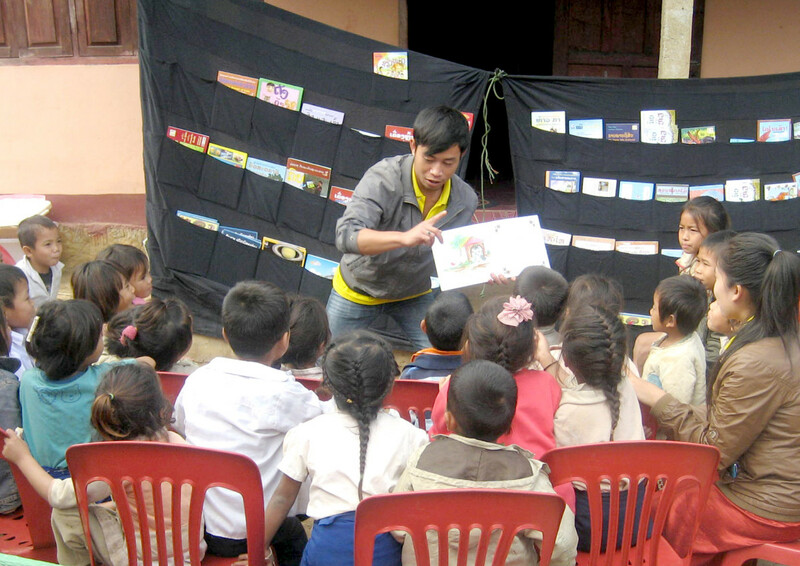 With illustration of those meaningful pictures, it gives readers a brief but clear profile of the book. Collectively, we need to listen to those who take the time and effort to really *think* about the situation we are creating for ourselves today--even if it's not terribly reassuring or comfortable. Yes-men don't make the most useful friends, although it's tempting to think they are. Dyer is no yes-man. It was a great article about a great book from a greatly under-appreciated geo-political writer - probably the best one alive today. Thank you for giving him some more visibility. Chomsky has a point but he's a crank and it affects his thinking. Suzuki searches for relevance and fame but says little, especially in terms of solutions. No one "tells it like it is" quite so unbiasly, so without personal preconception as Mr. Dyer. Byron, I'm very glad you found it helpful. Thanks for taking the time to comment! Thanks for this review. Very helpful summary and just what I was looking for. Trying to decide whether this might be worth reading. Yes, the weather this year has been quite unusual (and in too many cases, ruinous.) It might have happened anyway without the warming trend of the last thirty years--there's no way to be sure. But if the climate modelers are right, we'll see much more of this sort of thing as time goes on--and assuming of course that we continue collectively to *allow* it to go on. Thank you for this wonderful awareness hub at times when the weather is going bizarre the world over!! Its time we do something to survive!! Cheers!! Hello, thanks for coming by once again. I'm hoping that your seeming pessimism isn't borne out by events--I hope things will get better. That's why I write these things! But I do understand that pessimism. We have record temperatures, have had for 12 months now, and the very folks who claimed we were about to enter a period of global cooling still claim there's nothing going on. It's hard to fathom the willful blindness at work. Neven, thanks so much for your support; it's always great to hear from you! Thank you for your hard work putting together all these information. Whatever, will be, it won't get better. Great article, Doc! Fantastic pictures as well. Well, that's what I think about Climate Wars. What do you think? I'd love to hear from you!